Welcome home to your charming and beautiful 1950s ranch home. Located on a large corner lot, this was the original model home for Virginia Vale. Beautiful original hardwood floors and plenty of natural light flow throughout the home's open layout. Large west facing windows overlook the fenced-in back yard thats well maintained and great for entertaining. This home has 3 bedrooms and 3 bathrooms. All bedrooms are located on the main level including the master bedroom with ensuite bathroom. The basement has a large finished area for entertaining, built-in mini bar, full bath, and bonus/storage room. Oversized 2 car garage. Windows were recently updated and roof replaced. Perfect for anyone, with a fantastic location close to retail, dining, and entertainment. 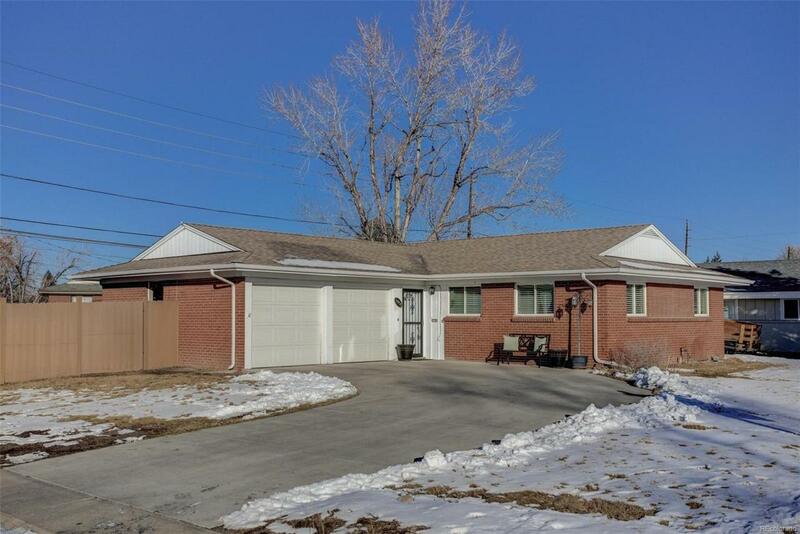 Minutes to Cherry Creek, Downtown, DU or DTC.